Ebola or Acute, Febrile, Hemmhorahic, Viral-Like Tuberculosis? | Lawrence Broxmeyer M.D. 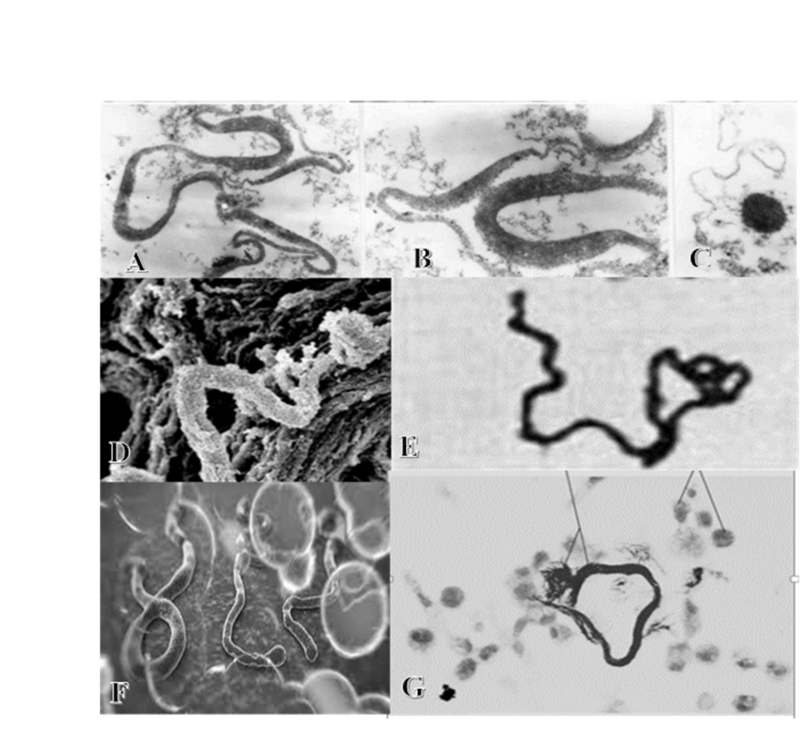 RENSE: Your focus has been in bringing awareness to the existing tubercular pathogens Mycobacterium tuberculosis and Mycobacterium Africanum currently raging in West Africa [See: http://rense.com/general96/ebooraf.html%5D and their similarities, especially with their pleomorphic L-forms or cell-wall-deficient forms, both physically and sign-and- symptom-wise to the Ebola virus. But How can this ‘virus’ be a RAGING WILDFIRE of contagion in West Africa and yet it has essentially made it to nowhere else? Not the UK, not Europe, not S America, not the US. BROXMEYER: Different strains offer different virulence for populations for different immune systems. In the case of the West African Ebola zone, where the outbreak originated, almost half of all TB cases are caused by Mycobacterium africanum—an unusual tuberculosis, exclusive to West Africa. 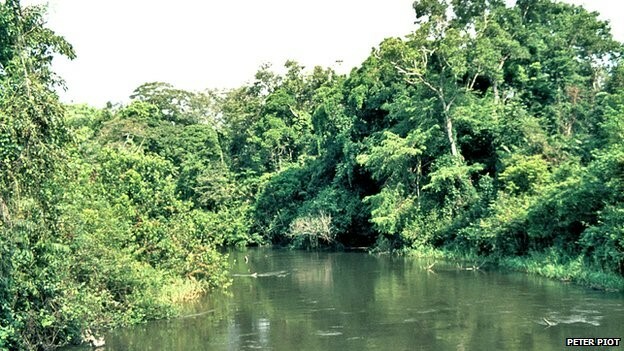 This is africanum’s home, where it can build on its ability to infect humans as well as native species such as chimpanzees and African green monkeys. In 1970-71 the CDC estimated that tubercular infection in individuals in contact with these and other non-human primates was 60 to 100 times that of the population at large (Richardson, 1987). Both African monkeys and great apes are susceptible to the Mycobacterium Tuberculosis Complex. But they are not alone. Members of this same complex have been also isolated from fruit bats, which I am told is a delicacy in West Africa. That tubercular M. africanum can and has already caused TB in the USA, at least in California, is a matter of record. 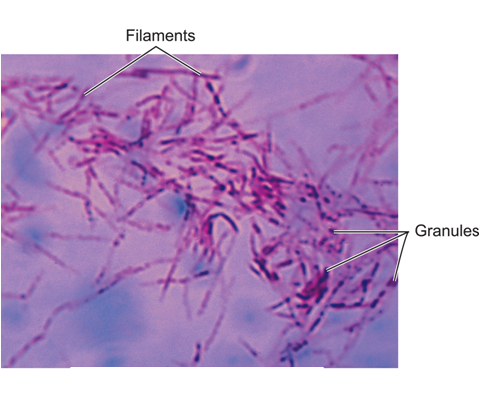 Also there is a body of evidence that M. africanum is of lower virulence than M. tuberculosis, requiring more sustained contact, even among household members—certainly mirrored in the current outbreak. Meanwhile, health officials continue to insist that “casual contact” cannot transmit Ebola—precisely the same claim that they’ve long made for TB. RENSE: If long-standing African strains of tuberculosis are involved, then why have they become so virulent now? BROXMEYER: Failure to read the stitches on the fast ball. Just over 81percent of the Ebola deaths recorded globally have originated from Liberia and Sierra Leone. While Liberian health officials warned as early as 2009 that TB was skyrocketing out of control, a mixed scientific coalition from Sierra Leone and Germany cautioned that Sierra Leone’s own tuberculosis level was not only the highest in West Africa but was filled with resistant strains of TB and tuberculous Mycobacterium africanum which had “reached an alarming level…”raising the question of possible consequences” for a future new TB epidemic. This basically went unheeded as the infectious strains simmered. RENSE: Yet everyone here recovers from what has been labeled Ebola. ZMAPP? BROXMEYER: ZMapp is manufactured from the tobacco plant and under development as a treatment for Ebola. It has not yet been tested in a clinical trial. Nor is it known whether it is effective to treat the disease — or whether it is safe. It is manufactured by Kentucky BioProcessing, a subsidiary of Reynolds American. However the idea is not new. In West Africa, extracts of the tobacco plant nicotiana tobaccum, used as medicinal plant extract, have long been known to be effective and inhibitory in the treatment of tuberculosis. This was written up by Adeleye, Conubogu and Ayolabi, in the African journal of Biotichnology in 2008. RENSE: Again, everyone here ‘recovers’… Something else? BROXMEYER: Unfortunately, I’m not privy to these Ebola victims’ patient charts. There has been talk of using serum from convalescent patients, which I believe is not enough. Also antibiotics are mentioned, and often used. Antibiotics of course should not work for viral disease, but several of the antibiotics in current and frequent use do have activity against tubercular involvement —the fluoroquinolone antibiotics, azithromycin and the aminoglycosides among them. RENSE: There are those that feel that Ebola might be being misdiagnosed under other diagnoses…like malaria. BROXMEYER: In the case of malaria, there are serological and thick and thin smears that must be performed. Diagnostics for typhoid or for that matter Yellow Fever are also quite adequate. But it is in the ability of tests for the viral hemorrhagic fevers (VHFs) such as Ebola and Marburg — to rule out or even consider a possible cross-reaction making tubercular cases Ebola positive — that things become dicey. 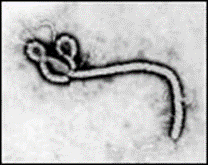 As an example — while an instruction booklet issued by the US Food and Drug Administration showed impressive results for detecting and thereby being positive for known “Ebola” samples, it sadly failed in its inadequate selection of those pathogens that might be cross-reacting and therefore making for false-positive Ebola tests. The instruction booklet, Version 2.0, which accompanied the new Ebola assay, mentions that no bacterial cross-reactivity was observed in the human DNA or any of the bacteria tested in their Table 51 — the problem being that neither Mycobacterium tuberculosis or its related Mycobacterium africanum appear in that Table 51. Such diversion is no trivial point. As time went by, it became obvious that attempts were in the pipeline to link the pathogenesis of Ebola and AIDS. Peter Piot, the discoverer of Ebola also worked tirelessly to establish that still another virus was behind AIDS. To this effect, his work on the HTLV-1 virus, which did not cause AIDS, went nowhere. But problems with the HIV/AIDS diagnostic probes would have to be avoided with Ebola — at all costs. For example, in the past, as veterinarian Myron “Max” Essex—the first scientist to propose human immunodeficiency virus (HIV) testing—knew, tuberculosis and its allied mycobacteria gave a false positive for HIV in his tests in almost 70 per cent of cases. 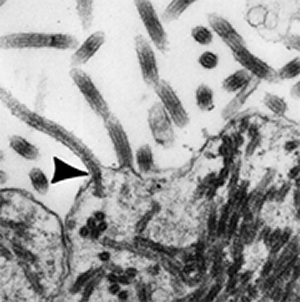 Such cross-reactivity between HIV and tuberculosis was so significant that it forced Essex and his protégé, Congo physician Oscar Kashala, to warn that the HIV screening test, the enzyme-linked immunosorbent assay (ELISA) and the western blot results “should be interpreted with caution when screening individuals with M. tuberculosis or other mycobacterial species.” According to WHO, 1/3 of the world harbors TB. So you get the point. RENSE: If such African-strains of tuberculosis are actually involved, then why are they not being quickly picked-up in the more advanced diagnostic capacity of countries like our own? 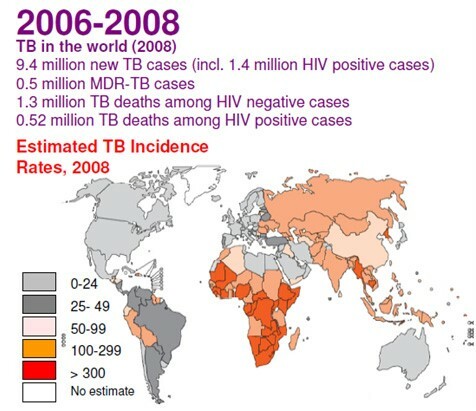 BROXMEYER: First, you are assuming that TB is even being considered and therefore looked for. In my experience, this has simply not been the case. You have patients coming from West Africa and doctors have been told to rule-out Ebola and perhaps malaria. Secondly, current technology for mycobacterial diagnostics is advanced, but unhappily far from bullet-proof. Mattman found a sharp increase in positive tests for TB when special stains and cultures were used to detect its preferred cell-wall-deficient forms, but these are not being routinely used in most American diagnostic centers. Even the vaunted PCR (The polymerase chain reaction) — designed to amplify a single copy or a few copies of a piece of DNA, generating thousands to millions of copies of a particular DNA sequence. — falls far short for detecting tubercular disease. And old standbys like the present 5TU [5 Tuberculin Units] tuberculin skin test and chest x-ray often are negative even in the face of full-blown disease. RENSE: The CDC seems in general to be quite virus oriented. Your views? BROXMEYER: This is nothing new. There was much the same viral passion there — at that time over “influenza” — when, in 1990, a new multidrug-resistant (MDR) tuberculosis outbreak took place in a large Miami municipal hospital. Soon thereafter, similar outbreaks in three New York City hospitals left many sufferers dying within weeks. By 1992, drug-resistant tuberculosis had spread to deadly mini-epidemics in 17 US states, and was reported not by the American press, nor the CDC — but by the international media as out of control. It seems that the first rule of public health officials is not to create panic — something which the mere mention of tuberculosis seems to do. So they shy away from its mere mention. RENSE: It would seem to me that such conflicts of those who would attribute viruses to illness as opposed to those who would attribute them to ultra-microscopic bacteria or mycobacteria goes back considerably before that. BROXMEYER: Yes. You have that right. In the words of respected historian Ton van Helvoort, going forward into the 1930s and 1940s, the concept of Laidlaw, Smith and Andrewes’s “filterable influenza virus” was subjected to such criticism that its very foundations were threatened. And those threats came from many fronts, but none greater than from Dr. Arthur Kendall, director of Medical Research at Northwestern. Kendall, using his own culture medium and the ultra-powerful Rife microscope ­ saw bacteria and not viruses in influenza. RENSE: Vitamin C is mentioned unofficially as an Ebola treatment. Your thoughts? BROXMEYER: Everything in moderation, including Vitamin C, which is vitally important to our health and immune system. Actually Linus Pauling’s interest in Vitamin C grew from the research of biochemist Irwin Stone. Stone, would eventually publish The Healing Factor: “Vitamin C” Against Disease. According to Stone: “The bacteria causing tuberculosis (Mycobacterium tuberculosis) was particularly sensitive to the lethal action of ascorbic acid” — Vitamin C. But just how well Vitamin C, at the proper concentration killed even drug resistant TB had to wait until 2013. In an unexpected discovery, researchers at Albert Einstein College of Medicine determined that Vitamin C, all by itself, killed both TB and drug resistant TB on culture plates. The finding suggested that Vitamin C, added to existing TB drugs could enhance and possibly shorten TB therapy. The study was published in the online journal Nature Communications. RENSE: Interesting. Thanks for stopping by. Deeply appreciate it. Regarding Ebola, we don’t have the definitive answer, but we sure have a lot of questions, such as how such a deadly disease can enter America and be rendered suddenly curable and impotent. I don’t have the answers but I have a LOT of questions. EBOLA……….OR ACUTE, EPIDEMIC, FEBRILE, HEMORRHAGIC, VIRAL-LIKE TUBERCULOSIS? Only a sin of omission. then, would explain why anyone or any group would not want to specifically mention the most commonly occurring cause of infectious death in Africa ― tuberculosis ― whose sky-high rates in West Africa make Ebola look like a dropper-full of water squeezed into the Mississippi. If by October, 2014, Ebola had laid claim to what some say is 3,000-plus deaths since its February outbreak, certainly this ought to be weighed in the light of the approximately 600,000 Africans killed by TB in the same time-frame. Furthermore, although TB incidence is decreasing globally, incidence rates are increasing in most of West Africa (1) ― ground zero for the current Ebola outburst. Just as curiously, almost half of all TB cases in the West African Ebola zone are caused by an unusual, yet just as deadly member of tubercular family, Mycobacterium africanum ― a strain of tuberculosis exclusive to West Africa, which is fast becoming a microbe of great public ― and now possibly global concern. Then why did the CDC not mention TB, by name, in their short-list of possibilities that could cause Ebola-like symptoms? If such oversight stopped there it would be unremarkable, but it seems to have been carried over in the very design of the most recent diagnostic tests issued to detect Ebola. The fact that the mice died did not mean that it was at the hands of a “pathogenic virus”. 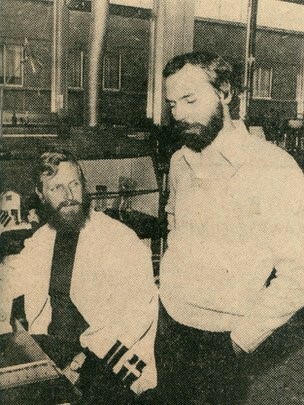 Piot’s boss, Stefaan Pattyn, who Piot admitted “could be a bit of a bully”, supposedly specialized in the study of mycobacteria ― tuberculosis and leprosy, yet seemed unaware of the hemorrhagic consequences of acute TB, nor had he taken the time to use special stains and cultures to detect its viral cell-wall-deficient forms. Instead Pattyn followed his current passion. He had recently worked in Zaire for six or seven years and exotic viral illnesses were now “right up his alley”. So Pattyn’s team likewise never really considered a strain of acute miliary TB or its viral cell-wall-deficient forms in his rule-outs for an acute hemorrhagic or epidemic fever ― among them Mycobacterium tuberculosis and Mycobacterium africanum. Many often underestimate the speed, contagiousness and ferocity of a TB epidemic. Khomenko’s 1993 study (5) should have cemented the notion that the explosive contagiousness of just such Ebola and influenza-like viral forms of tuberculosis are exactly the stuff that previous epidemics and pandemics could have been made of. But it didn’t. In the US, the CDC and NIH seemed to feel differently, ignoring the historic possibility. There was much the same viral passion, at that time over “Influenza”, when in 1990, a new multi-drug-resistant (MDR) tuberculosis outbreak took place in a large Miami municipal hospital. Soon thereafter, similar outbreaks in three New York City hospitals left many sufferers dying within weeks. By 1992, approximately two years later, drug-resistant tuberculosis had spread to deadly mini-epidemics in seventeen US states, and was reported, not by the American, but the international media, as out of control. Viral forms of swine, avian and human TB can be transmitted from one species to another. So can exotic strains of tuberculosis and Mycobacterium africanum, imported into the United States through countries such as Liberia. By 1993 the World Health Organization (WHO) had proclaimed tuberculosis a global health emergency (6). That emergency has never been lifted.